Get an Auto Title Loan Fast! Use our quick and convenient request form. You’re just a few clicks away. You could be just three steps away from your loan. Our quick and convenient online form takes only a minute to complete. 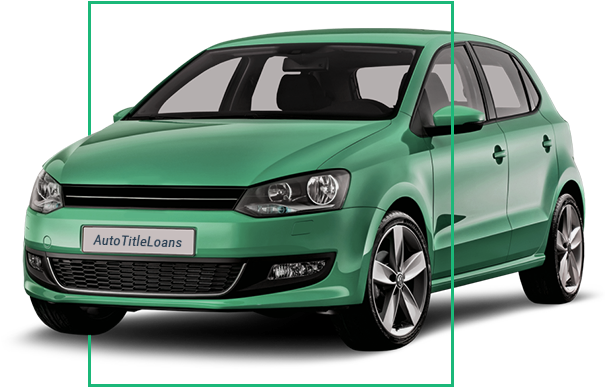 A car title loan is short-term funding where your vehicle is used as collateral to secure the loan. If you have bad credit, you may still qualify for this type of financing. Lenders are standing by. 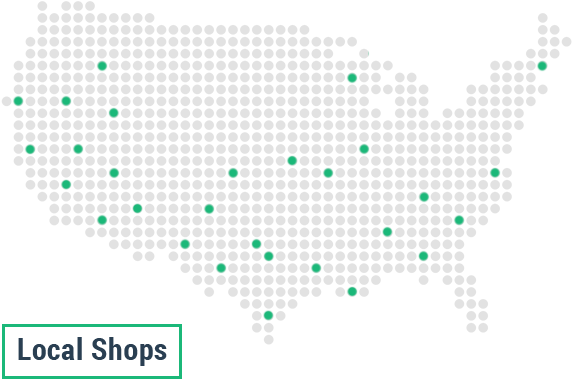 This financial product is not available in every state. Finding out if we can connect you with a lender is as simple as filling out our short, hassle-free form. Secure a fast pink slip loan with your car, truck, or motorcycle. Request your quick cash online and know your results in minutes. Get your loan money in as soon as one business day in some cases. If you are connected with a lender after filling out our loan request form, they will likely ask you to bring your car to an authorized inspection center. Our lenders try to make this process as convenient as possible by partnering with local auto shops all across the country. The inspection location may be within a few minutes of your home. The checkup should not take much of your time. If you have any questions about your specific car title loan inspection location, please reach out to your lender directly. Our hassle-free online form will only take you a few minutes to complete. There are many sources out there for car title loans online. Not all of them are up to our standards. If you are connected with a lending body through our website, you can rest assured that you will be working with a trusted provider. It is our goal that you feel safe and secure throughout the entire loan request process. Using the AutoTitleLoans.com questionnaire puts you under zero obligations or commitments. During the loan request process, you can walk away at any time. Our form is free to use. We don’t charge anything for helping you make a loan request and connecting you with one of our trusted lending partners. The nature of short-term, secured lending means it is possible for even those with bad credit to sometimes find funding. Having collateral as part of the loan arrangement makes it less risky for the lender to provide money to an individual with a bad credit history. Less risk for the lender increases the likelihood of the loan. Our site utilizes 256-bit encryption to make sure your personal information stays safe. From the moment you enter your data into our website and all the way until lender receives it, our SSL protects your information. Our well-trained team knows how to protect your information during on-site data handling. The following tips may help protect you from auto title loan scams. A legitimate loan provider will have a lending license. You should be able to view their credentials upon request. Be wary of phone calls or emails that ask for sensitive financial or personal information. Never share your Social Security number or your banking information with a supposed loan entity until you have verified the source. If a debt collection agency approaches you about unpaid fees, request written verification immediately. Keep track of your payments so that you will be ready if a scammer calls with falsified information. Regularly update the Internet security software on all of your applicable electronic devices, including your home desktop computer, laptop, tablet, etc. A car title loan is short-term funding that uses your car as collateral. Through our site, you can request anywhere from $500 to a loan over $10,000. Those who cannot qualify for a traditional loan are sometimes able to find money through this type of borrowing. Read on for more information about this financial product. Depending on the lender, you can secure your loan with a car, truck, or even a motorcycle. Here’s how it works: Before you get your loan money, the lender will put a lien on your car title, which means the lender receives the right to own your car. You still get to drive the car, but until you pay back the loan, the lender owns it. Providers tend to offer a loan amount that is around 50 percent of your car’s current value. If you are unable to pay back the loan, the lender can take your car and sell it. This ensures that the loan provider will not take a hit if you default on the loan, which in trade means that the loan is less risky for the lender. This is why those with poor or bad credit may still qualify for car title loan. It is our goal to connect you with a loan provider. For this purpose, we have created a state-of-the-art platform for connecting lenders to borrowers. Everything starts with our form. After you put your information into our loan request form, we will attempt to connect you with one of our partners. The entire process should only take a few minutes. Our service is free to use. Vehicle Information – This is where you tell us about your car, including the year, make, model, style, mileage, and whether you have paid it off yet. Personal Information – We need to know a little about you, like your name, address, and birth date. Employment Information – Our lenders require accurate information about your employment status. We protect your personal data with the latest encryption technology. We are not a lender. It is our job to find you a provider that offers this type of funding. We work with many such lenders. We created a network of trusted auto title loan lenders. If you enter your information into our system, you could be connected with one of these reputable lenders. Our technology makes this process run smooth, fast, and safe. After you are connected with a lender, they may require you to get your car inspected. The inspection center will likely be within a few miles of your house. You will also need to fill out a little bit of paperwork. The lender will then choose whether to offer you a loan. If your car is not completely paid off, you may still be able to qualify for this type of funding. In some cases, the lender may offer you a loan package that helps you pay off your car. You need to have a regular source of income. That doesn’t mean you need to be actively employed, but you should generate enough revenue that you will be able to pay off your loan. You need to own a car, truck, or motorcycle. Your lender will likely have additional requirements. Please understand that we are not a loan provider. It is our job to process your loan request and hopefully connect you with a lender. If you do find a loan source, you could receive your money in as little as one business day. How Can I Spend My Cash? Emergency expense – Short-term loans are sometimes used to address short-term debt caused by an urgent situation, such as a medical expense, a car repair, or a home improvement project. Debt consolidation – One of the most common reasons people take out this type of funding is to pay off debt that they have already accrued. Rolling old debt into new debt can be dangerous, as the compounded fees can make the debt seem unpayable. Rent or mortgage – One of the largest monthly expenses is also one of the most common reasons people take out short-term loans. Business expenses – Most small business loan companies require that the borrower has an established business with a good profit history. If you are running a startup or a company that is falling behind, it can be nearly impossible to qualify for a traditional business loan. Instead of letting the business fail, some turn to a secured loan. There are many other reasons why people take out this type of funding. If you are unsure if your loan reason fits with this type of funding, it might be wise to consult a financial expert. They may be able to guide you toward a financial product that makes sense for your situation.